Todd Henry is the founder and CEO of Accidental Creative, where he helps teams and creatives be prolific, brilliant and healthy. He regularly speaks at companies and conferences about how to build practices that lead to better ideas. His first book was Accidental Creative: How to Be Brilliant at a Moment’s Notice, which examined the creative process and provides strategies to maximize your creativity while maintaining healthy work habits. 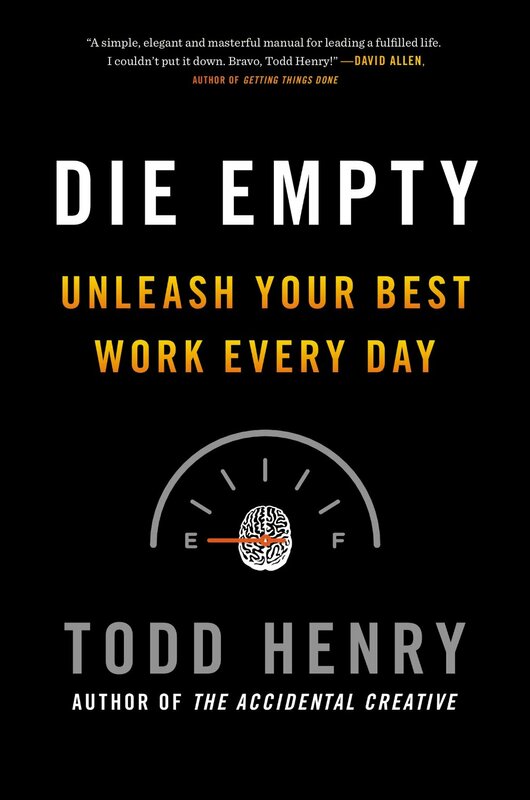 In Die Empty, Todd’s brand-new book, he helps individuals and companies stop deferring their most important work. The book provides a process and principles for tapping into your passion — at first, that may sound like several other books on the market, but this incorporates Todd’s uber-valuable approach to the create-on-demand expectations of today’s workplace. Aimlessness. The book’s chapter “Define Your Battles” helps you identify what you will stand for. Comfort. “Step Out of Your Comfort Zone” helps you establish a new vector and set step, sprint, and stretch goals on your new course. Delusion. “Know Yourself” helps you identify what truly resonates with you and what unique contribution you alone are capable of pursuing. Ego. “Be Confidently Adaptable” helps you prevent an inflated ego from stalling progress on your most important work. Fear. “Find Your Voice” helps you take small, calculated risks every day. Guardedness. “Stay Connected” helps you maintain productive collaboration rather than closing off from relationships when things get busy. Your FATE determines your fate! Todd also outlines four key factors that will determine your long-term effectiveness in life and work.